Grier Summer an overnight and day camp for girls ages 7 to 17, located in the Allegheny Mountains of beautiful Central Pennsylvania on the campus of the historic Grier School. 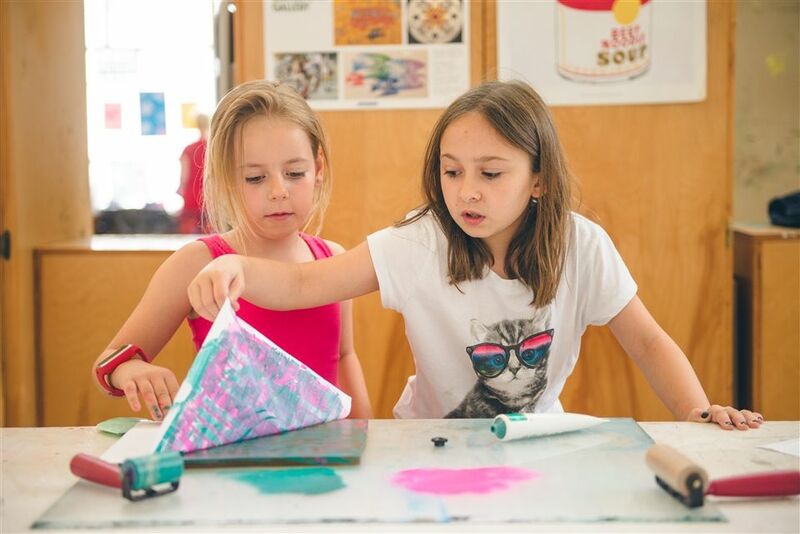 At Grier Summer, girls have unique and enriching opportunities to explore new interests, deepen creative passions, and acquire new skills. Grier Summer hosts two sessions open to both day and overnight campers. Recreational programs include: Fine Art, Dance, Musical Theatre, and Riding. 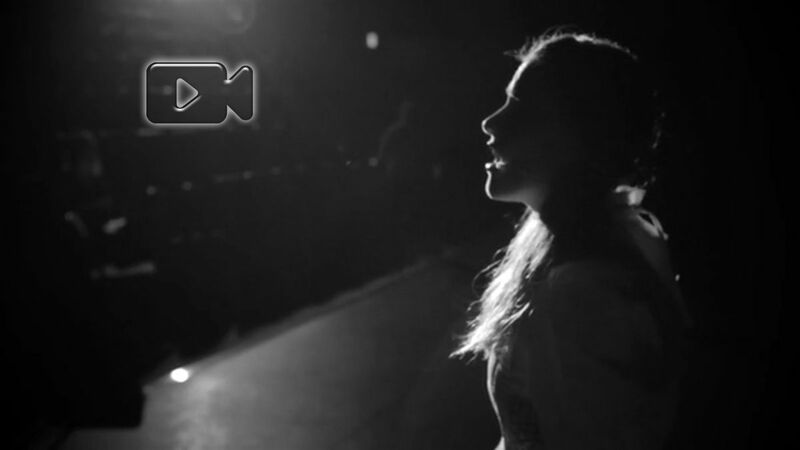 Unlike our Recreational Programs, our Intensive Programs require on-site auditions or video proof of ability. Grier Summer uses a rolling admission plan. Learn more about our sessions and fees, then register today! Grier Summer's programs of Fine Art, Dance, Musical Theatre, and Riding host activities throughout each of our two camp sessions. Recreational campers may choose to indulge their curiosity and explore a new interest, while other campers may choose to immerse themselves in one of our intensive programs. Although the intensive schedule is primarily filled with activities within a single discipline, even these campers have one "just for fun" activity period. Grier Summer: an overnight and day camp for girls ages 7-17, located in the Allegheny Mountains of beautiful Central Pennsylvania. Grier Summer art activities provide opportunities for creative express with instructional guidance. Dancers of all ability levels and style interests will improve their skills and expand their dance repertoire by attending Grier Summer. Girls who love to sing, dance, and act will find opportunities at Grier Summer to showcase their talents. 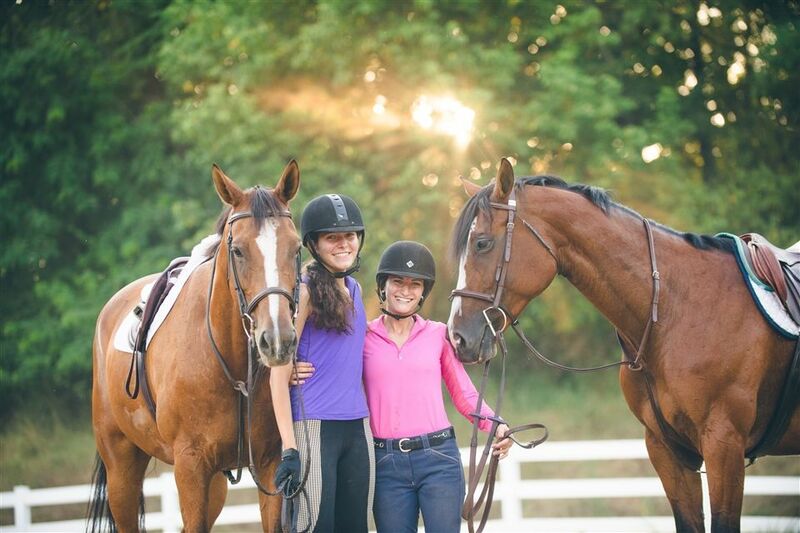 Although Grier Summer has a long tradition as an English program, Western riders may also enjoy honing and refining their skills through our program. Grier Summer Camp has been in operation since 1975. Grier Summer campers are diverse. During the past two summers, girls from 18 different states and 12 different countries have attended Grier Summer. 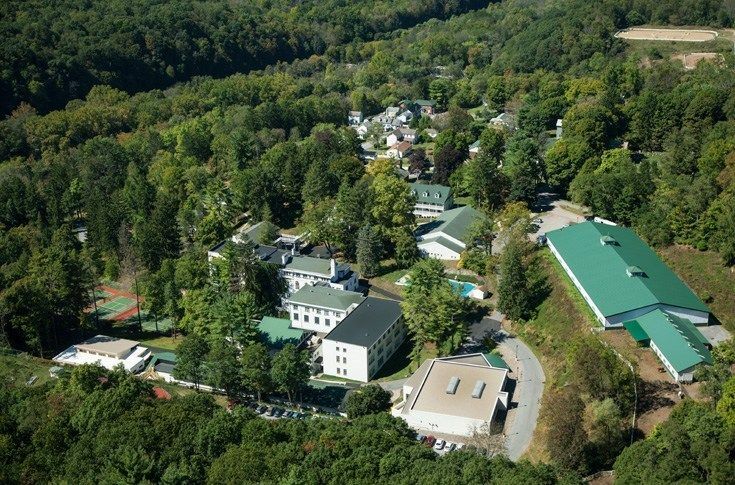 Grier Summer is located on the scenic wooded campus of the Grier School, located in the Allegheny Mountains of Central Pennsylvania. Grier Summer boards 60 horses each summer for Grier Summer Campers’ use. These horses range from the quietest of horses up to high level show-jumpers. Grier Summer offers campers 70 hours of camp-wide programming per week. Camp instructors and counselors nurture campers during their time at Grier Summer. 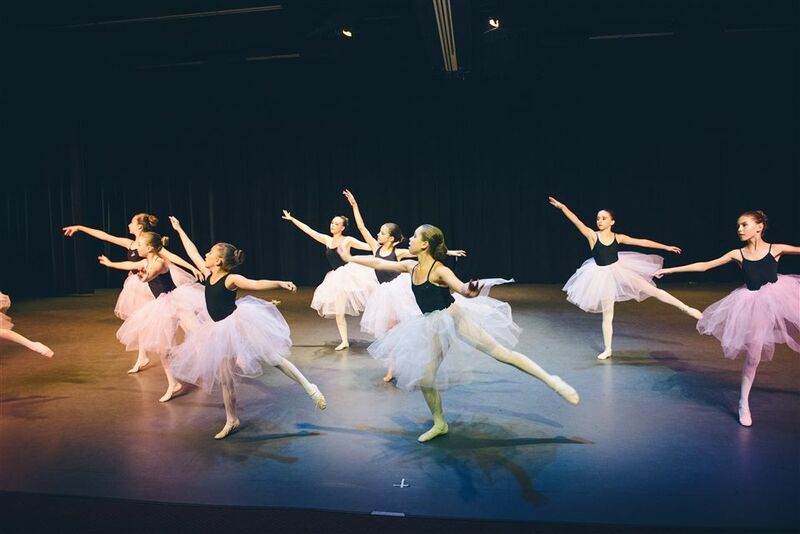 Campers participating in Grier Summer's dance classes learn choreographed routines which are performed before culminating gala event at the end of each session. Campers with all levels of experience can participate in Grier Summer's Dance Program. During Grier Summer's Art Porgram, campers with any level of art experience explore a variety of mediums and techniques, some of which they may not have encountered in traditional art classrooms. Our highly trained art instructors stregthen budding artists' confidence while challenging them to innovate and explore. Are you interested in visiting Grier Summer? Grier Summer is offering a complementary guided tour of the campus. Join Director Jennifer Pepperman on Sunday, March 31st at 11:00am. Enjoy brunch, tour campus, and meet Grier Summer administrators. Tours will include stops to see Art, Dance, and Riding facilities. There will also be an opportunity for moms and daughters to visit the dorms for a peek at our camper accommodations. Since our tours involved walking across Grier’s campus, you’ll want to wear comfortable shoes and dress for the weather. 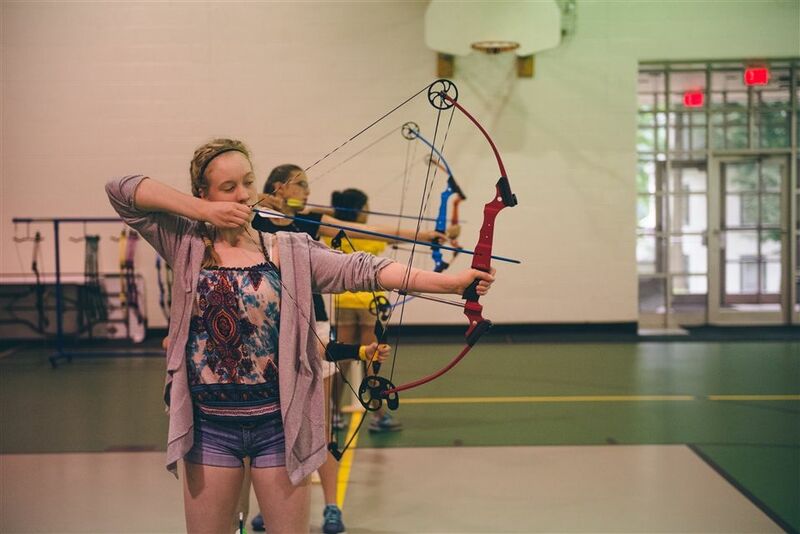 Along with the daily classes in the arts and horseback riding, Grier Summer campers can fill their schedules with fun, enriching programming that includes: archery, creative writing, yoga, pool games, and theatre improv. 2019 Theme: Be In Your Element! 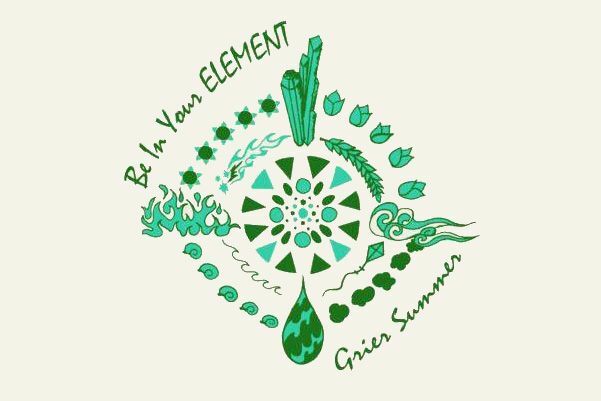 Grier Summer is thrilled to announce the 2019 Grier Summer theme: Be In Your Element. We are so grateful to our Summer '18 campers Anna f and Lauren R for the design inspiration. Not only does the logo look fantastic, but the them is so true. Similar to how magnificent and powerful nature can be, at Grier Summer, we strive to cultivate and unleash these same elements within our campers. Grier Summer camp is a great place for girls to grow in the areas that they are passionate about, while also discovering more about themselves and experiencing the natural and social worlds around them. We are planning a great summer and look forward to seeing everyone soon! 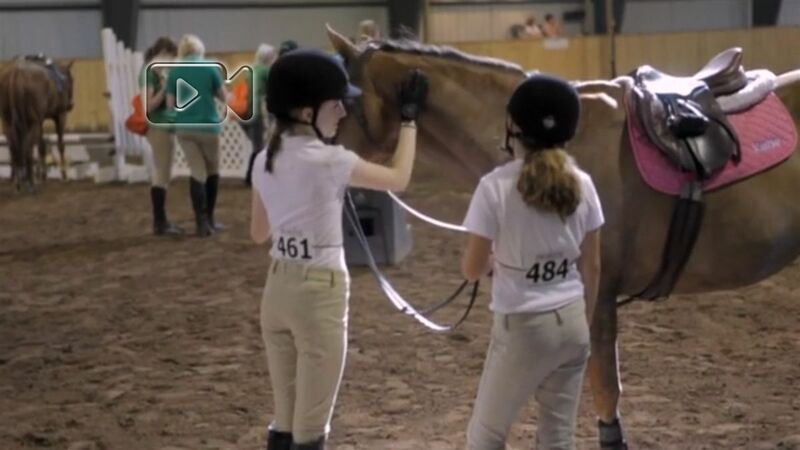 While building on over forty years of tradition, the Summer Riding Program offers a variety of riding styles in multiple indoor and outdoor riding facilities, pairs horses and riders of all levels accordingly, and provides a personalized experience for every camper interested in riding. Family Dinner in the Dining Room at 5:00pm followed by the Art Show and Performances.